RIO GRANDE — The University of Rio Grande and Rio Grande Community College along with the Gallia-Vinton Educational Service Center will once again host the annual Southern Ohio District 14 Science day this Saturday. Projects will be on exhibition from 11:30 a.m. to 1 p.m. after judging and the awards ceremony will follow at 1 p.m. Exhibitions are considered free and open to the public. 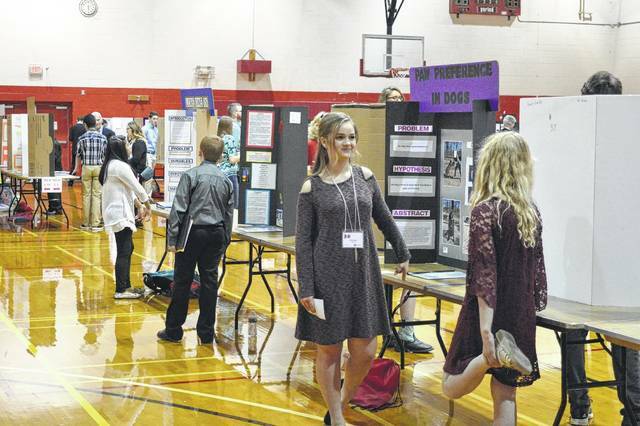 Students through the fifth and twelfth grades from Gallia, Lawrence, Pike and Scioto Counties who competed in their local science fairs and qualified are able to participate in the event. Means said the faculty and students of the science department are always eager to work with the students during the event and give them a chance to learn more about Rio and its science programs. The Ohio Academy of Science is a nonprofit and volunteer organization aimed at fostering discovery and innovation through science, engineering, technology and education and how it can greater benefit society. The organization promotes trainings and advocates for funding for research, development and educational opportunities as it also seeks to spread a wider understanding of scientific appreciation. The organization partners with Science Days throughout the state and those who compete well at the district level can participate on the state level.